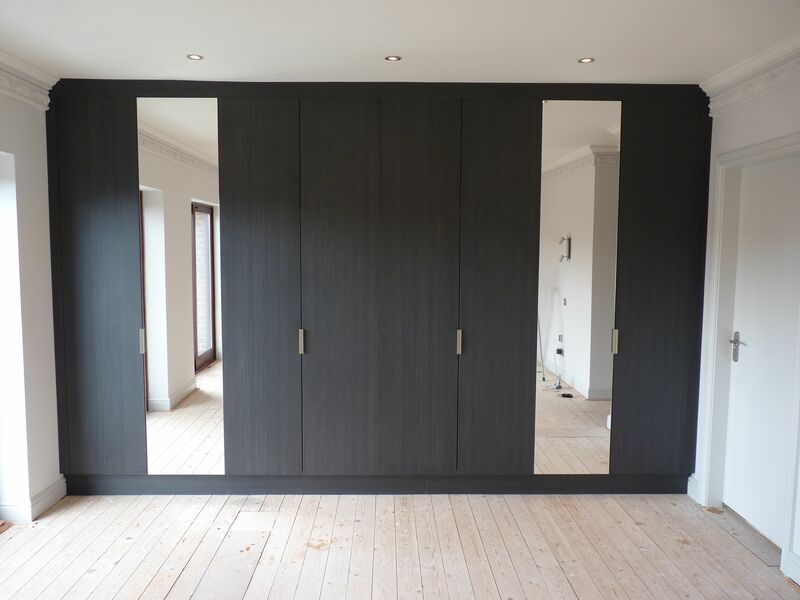 • ‘Hacienda Black’ high pressure laminate frontage (Zebrano effect grain pattern). • Blue/Grey Melamine interior cabinetry. • Hettich ‘Sensys’ soft close/self close hinges and drawer runners. 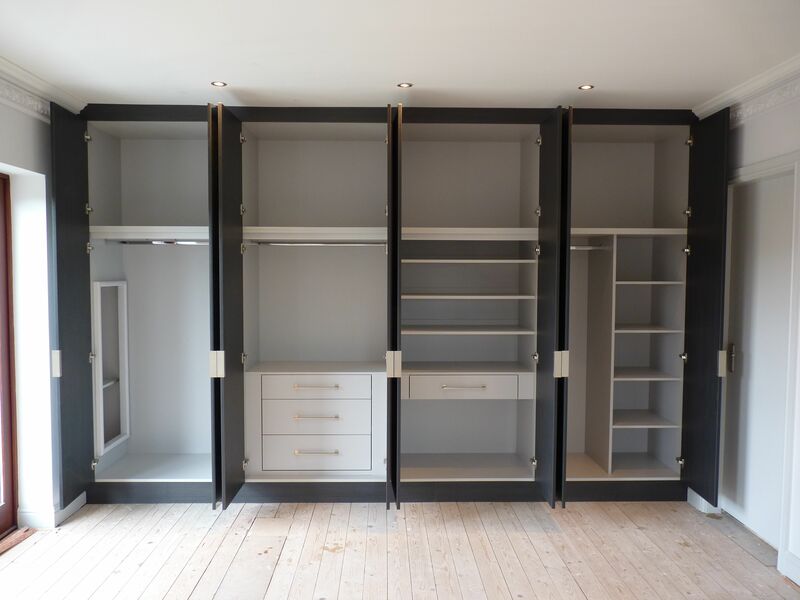 This entry was posted in Cabinetry and tagged bedroom furniture, bespoke cabinetry, built-in wardrobe.